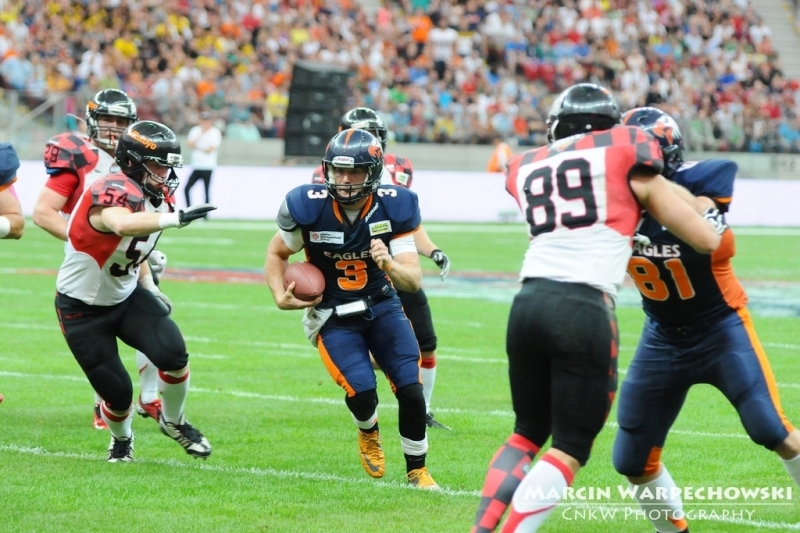 SuperFinal IX coming to Gdynia! 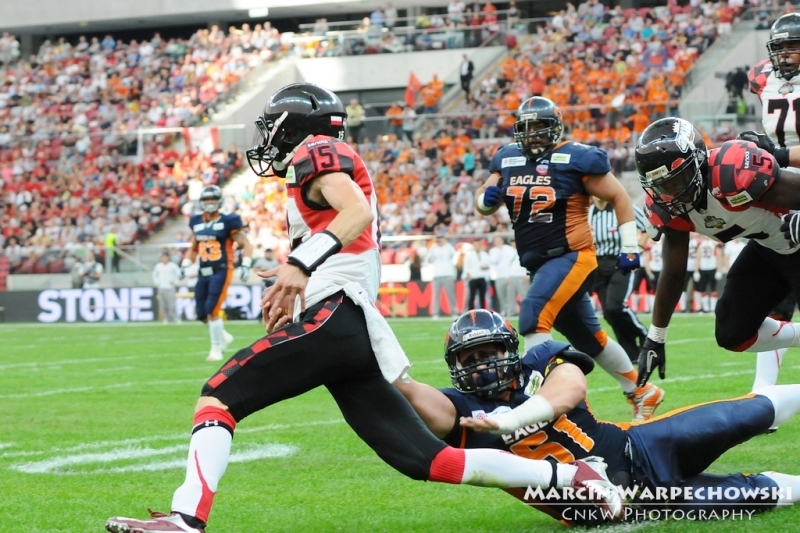 The two best teams in Poland are now scheduled to square off on August 2 at the Municipal Stadium in Gdynia, in the championship game of the Polish League of American Football (PLFA). 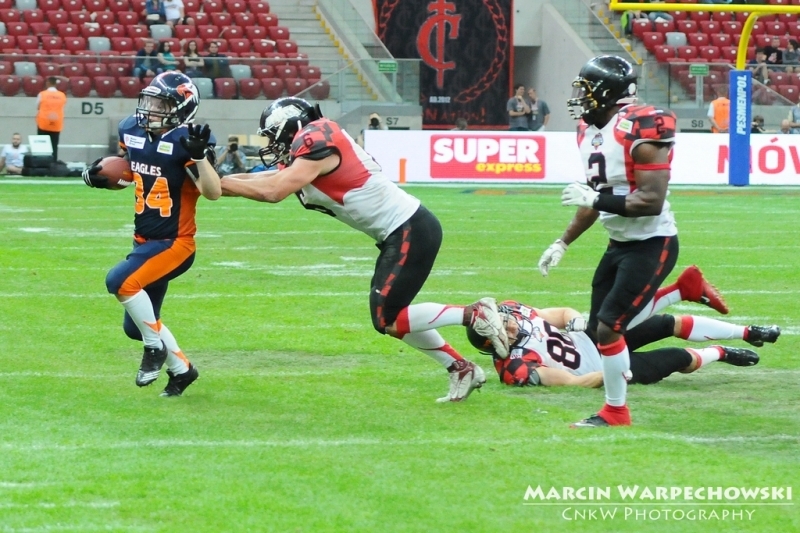 Six teams in Poland's top division, the Topliga, are currently vying for the right to play in SuperFinal IX. At the conclusion of the regular season, the best four teams will advance to the semifinals, to be held during the weekend of July 19-20. 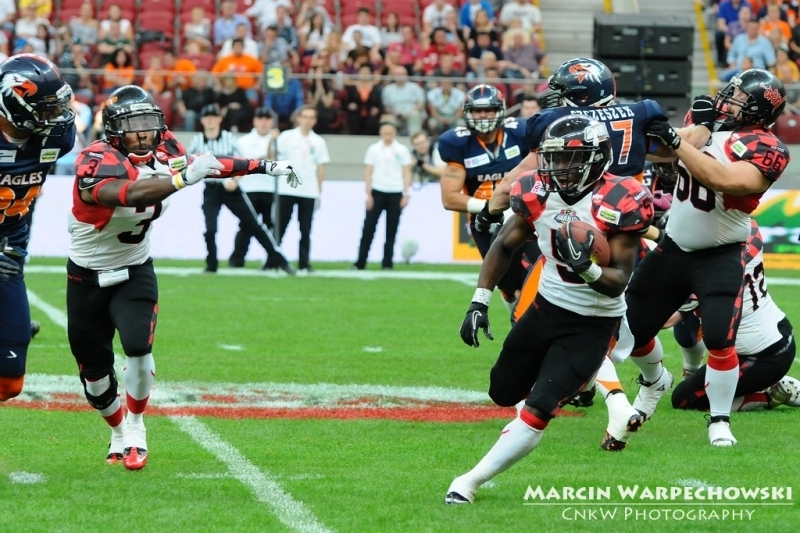 The winners of those two contests will meet in the modern, multi-purpose arena in Gdynia. 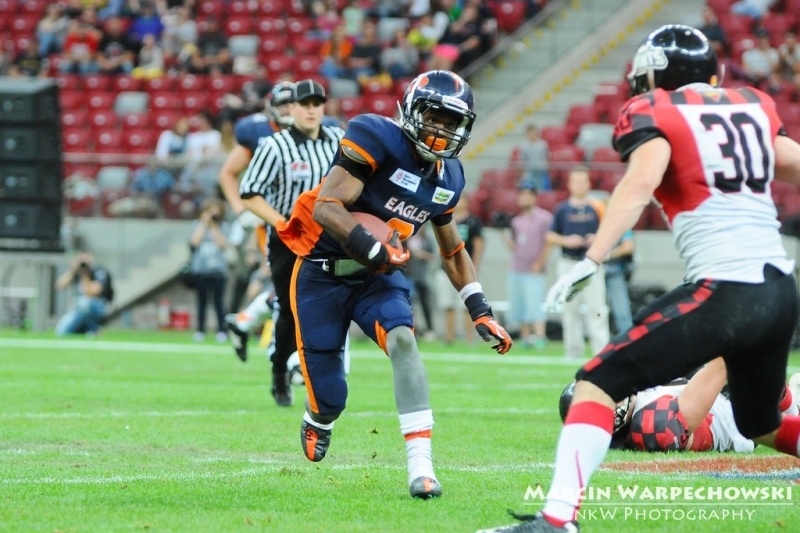 The Polish SuperFinal is a fantastic celebration of American football, and an opportunity for the whole family to have a great time. 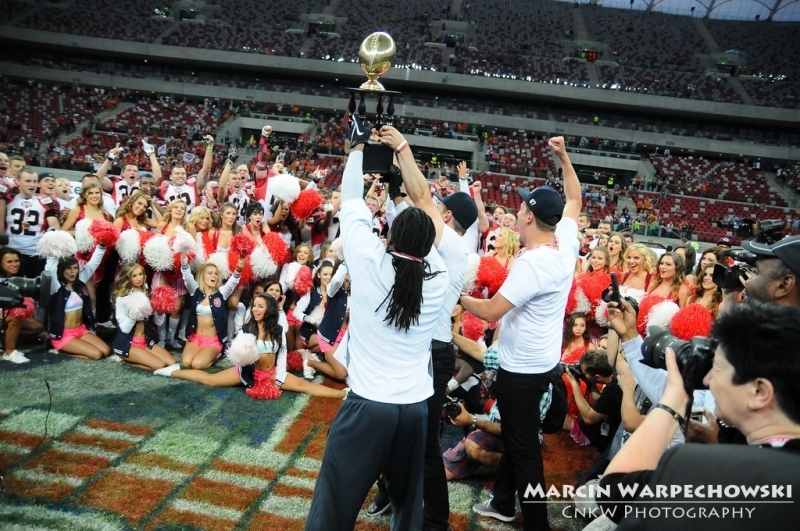 The SuperFinal is an event in the true American style, mirroring the festivities of the Super Bowl. There are cheerleading performances, light shows, competitions with great prizes and many other attractions. Commentators, DJs and cheerleaders help to keep up the excitement in the stands. 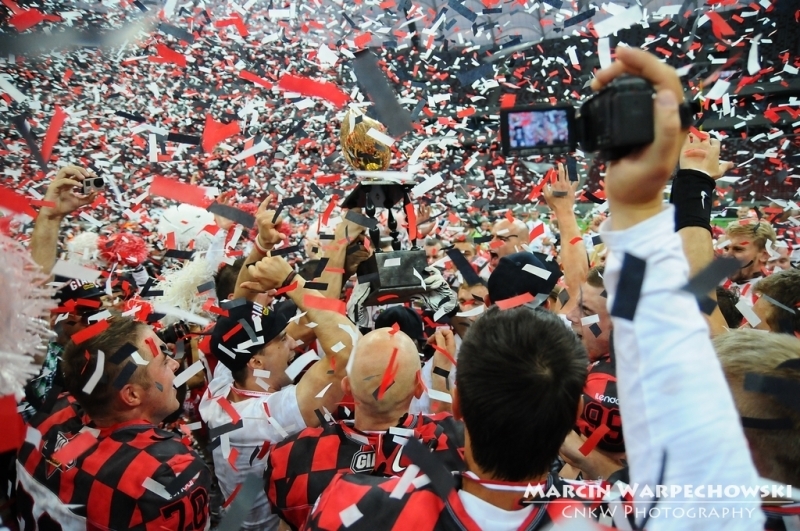 Like always with football events in Poland, the SuperFinal will be played in a friendly and safe atmosphere. It is a great time to get together with fans not only from across Poland, but from all over Europe as well. At noon, the area surrounding the Municipal Stadium will be transformed in an American football town, with free admission for anyone holding a ticket for the game. 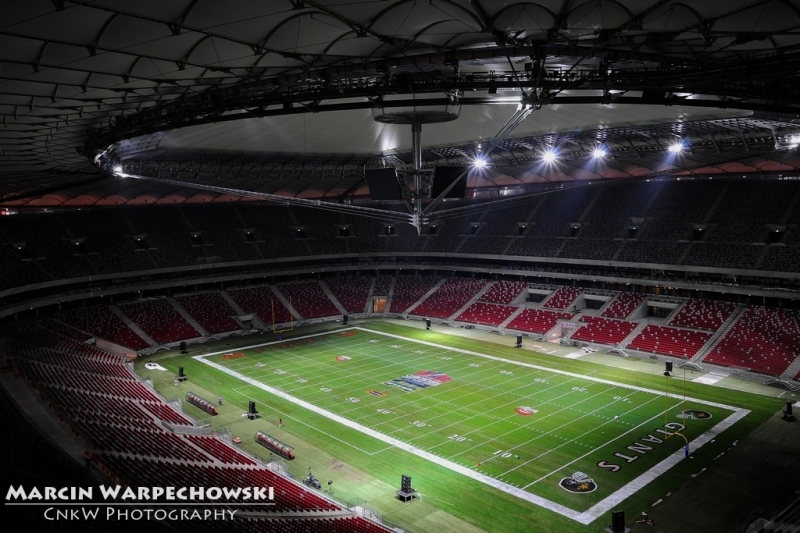 Fans who get to the stadium early will be able to become, for a moment, real football players—they will be able to put on the uniform, see how fast they can throw a ball and try to hit targets with it, all with players from the Polish National Team. Moreover, there will be many competitions and prizes in store for everyone, and the atmosphere will be permeated by the rhythms of concerts and the scents of American culinary specialties. Kickoff, scheduled for 4:00 PM, will be preceded by a spectacular opening ceremony. This prestigious event fits perfectly into the sporting character of our city. 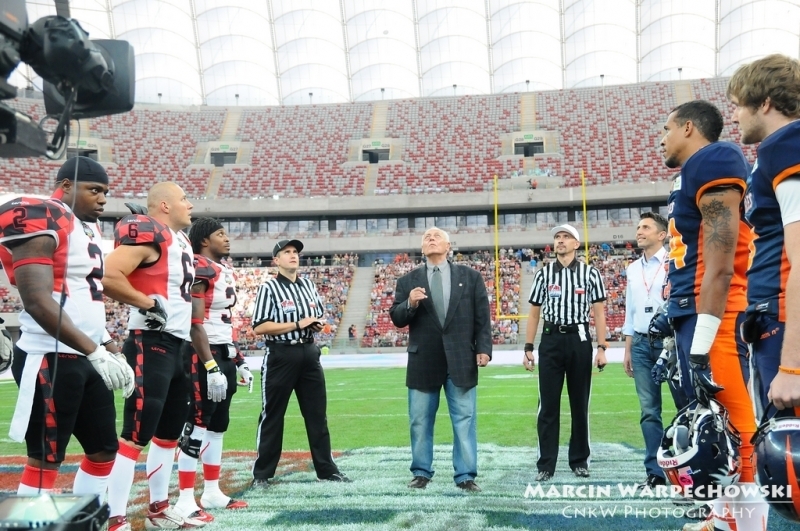 It is great that this spectacular game will be played at the Municipal Stadium, a modern facility which will have its first chance to host the best teams of the Polish League of American Football. 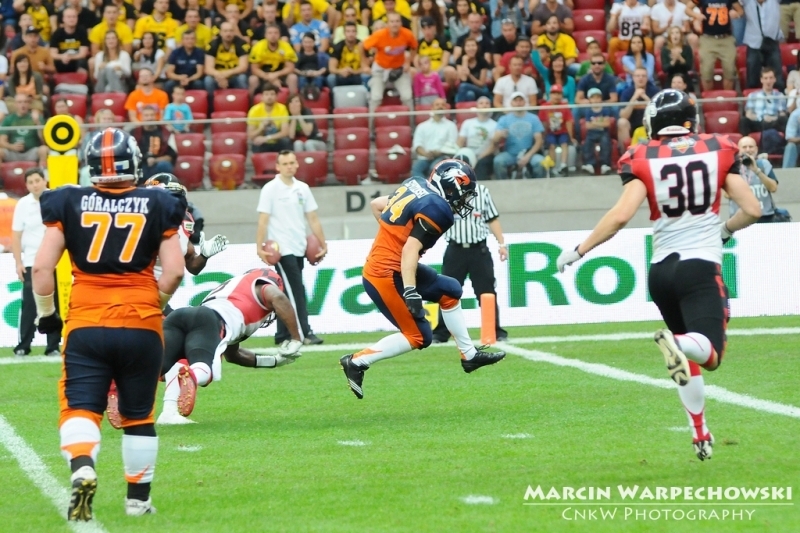 “American football in a unique discipline,” said Wojciech Szczurek, Mayor of Gdynia. “With each passing year, there is a growing number of passionate fans who actively follow the struggles of the athletes from their favorite teams. 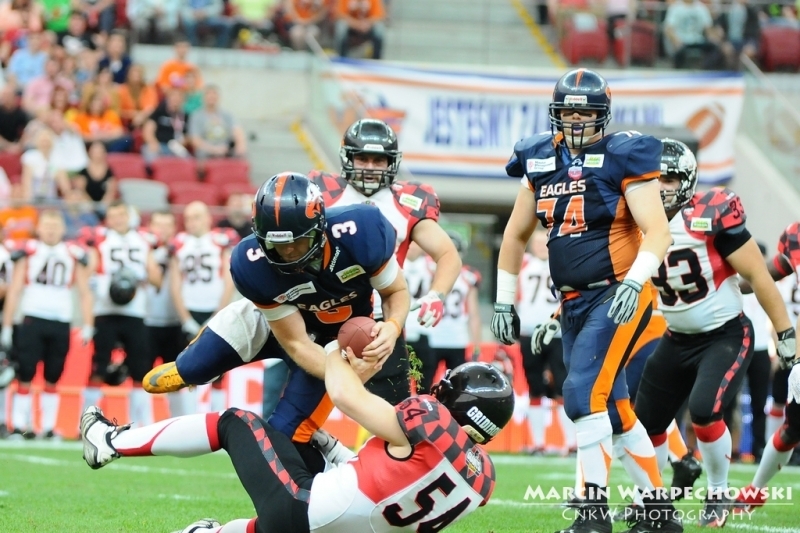 It is with great pride that we learned that Gdynia would be the host city for PLFA SuperFinal IX. This prestigious event fits perfectly into the sporting character of our city. 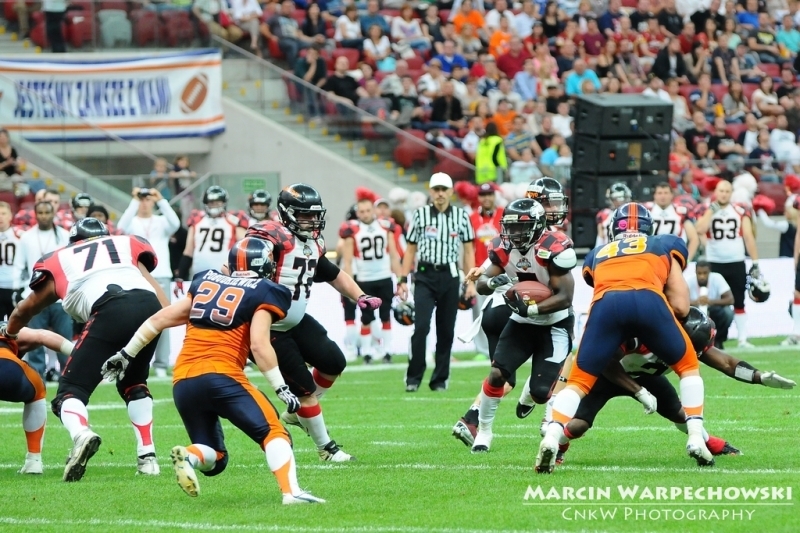 It is great that this spectacular game will be played at the Municipal Stadium, a modern facility which will have its first chance to host the best teams of the Polish League of American Football. The selection of Gdynia as the home of the SuperFinal is an opportunity for us not only to organize our next sporting event at the highest level, but also to showcase our city as a place full of open and active citizens. I am sure that this unique event will be met with great interest by anyone who appreciates the beauty of sporting competitions. Ticket prices start at 20 PLN. In addition, there is a 20% discount for families and groups. 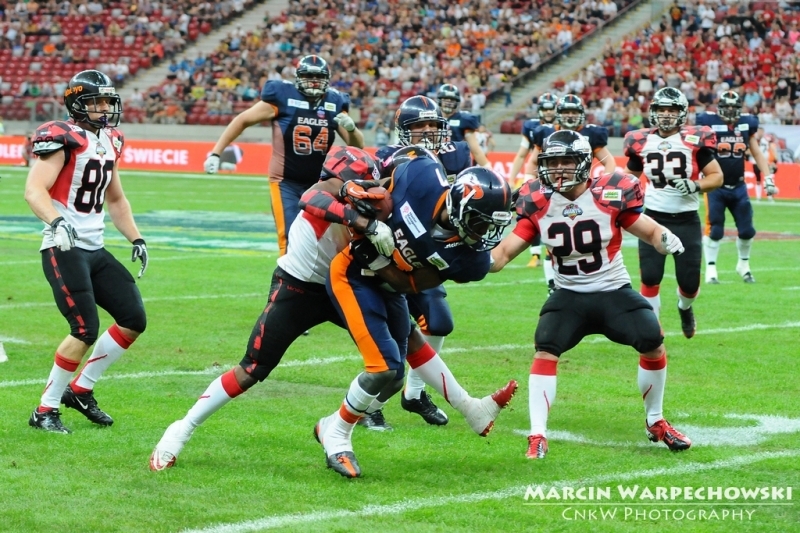 Tickets can be purchased through the website www.eventim.pl/superfinal and all Eventim outlets, including Empik stores. Pre-sale begins next week. 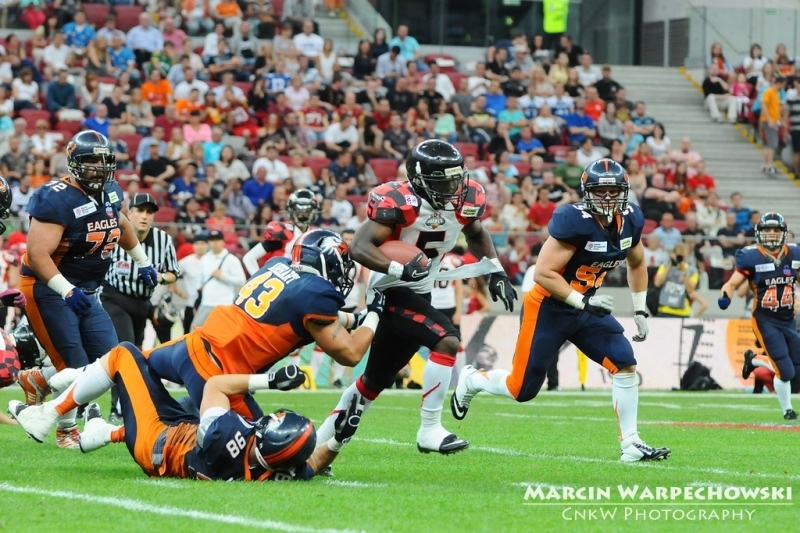 See you on August 2 at the Municipal Stadium in Gdynia!